Uniseal UK Ltd - Fascia/Soffits/Guttering, Windows/Doors/Conservatories based in Zone 3, Staffordshire. Invoice history based on 497 reviews. 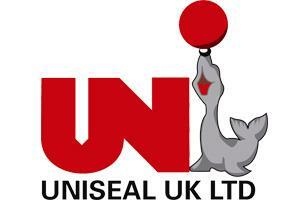 Uniseal UK Ltd are a well-established family firm running for over 10 years. We pride ourselves in providing a knowledgeable, courteous and trustworthy double-glazing service that is second to none. We directly manufacture all our uPVC products from our 3000 sq. f.t facility based in Burntwood. This means that all our products can be manufactured to the highest quality and security that the industry has to offer. As well as our manufacturing factory, we also have a large showroom, so if you’re unsure of what you would like pop in and one of a friendly team can help you find exactly what you’re looking for to improve your home. Our showroom is open every weekday 9am – 5pm and Saturdays 9am – 1pm. If your old windows and doors need replacing, replace them with our windows and doors which are easy to maintain and are secure. Here at Uniseal we use Secure by design meaning all our products are extra secure. Alternatively, why not add value to your home with our Conservatory or Orangery installations. Whether you want a conservatory that is built with timber or uPVC, your conservatory will be designed and built to the highest standards to suit your home. We will provide you with a huge choice of styles and finishing details for you to choose from, however we will be happy to offer expert advice if you request it. Burntwood, Burton on trent, Cannock, Derby, Lichfield, Penkridge, Rugeley, Staffordshire, Sutton Coldfield, Tamworth, Telford, Uttoxeter, Walsall, Wolverhampton and surrounding Areas.